In the foreground is the Northern Illinois Coal Co. Office. Behind it is the machine shop. In the right back-ground is the "tipple" and the "washer." The tipple sorted the bad material out of the coal and then sorted the coal by size. The washer (tallest part of the building) washed the coal. 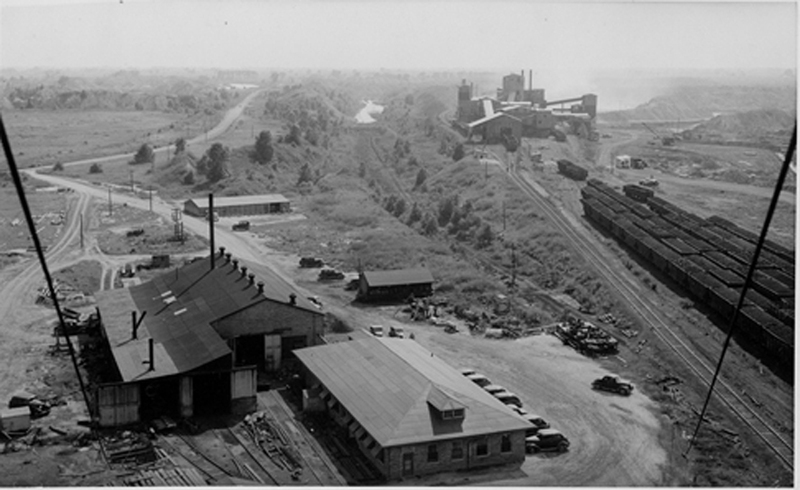 The shoot on the right side of the building leading to a tall hopper took the water and debris away from the coal. Machine that held a spool of cable for the machines. Photo by Grover Brinkman of Okawville, Illinois.